USA has always been an attractive study destination for prospective students, the reasons being quality education, cutting edge technology, work opportunities, excellent funding options and flexible curriculum. USA offers a mind boggling range of universities with highly sophisticated and enlightening educational environments. An American education also provides phenomenally higher returns over one’s investment. USA is a educational hub with over 4500 institutions offer undergraduate, postgraduate and doctorate degrees. USA education is the best investment for the future. Education in USA is affordable as its institutions/universities provide a wide spectrum of tuition fees, accommodation options and financial help from the institutions in the form of scholarships, fee waivers, ais, etc. The U.S. pride themselves on being at the forefront of technology, research and techniques as they make the best possible equipments and resources available to their students. The United States is a country that combines diverse geography and culture with a reputation for academic excellence, making it a leading destination for students pursuing master’s degrees. Its a melting pot of ethnicities, nationalities, races, classes, and opinions, and with a large number of foreign students enrolled in masters degree programs all over the country, the USA is a wonderful place to further your education. No matter what program of study interests you, you’re sure to find something to meet your needs. The USA is particularly well-known for a large number of non-traditional options for pursuing a master’s degree, such as part-time studies, online programs, and distance learning options. According to the Council of Graduate Schools (CGS), around 15% of all graduate-level students in the US are international. The most popular subject area for international graduate students is engineering, next is business, followed by programs relating to Physical and Earth Sciences. Biological & Life Sciences : Thesis on the interaction between humans and the earth. Students explore the structure, function, behaviour, and evolution of cells, organisms, populations, and ecosystems. Business Studies : It is the study of economics and management, through which the student is equipped with the essentials to be a Business Professional. Economics And Administration : The students learns to analyse and solve problems of products and international markets in multinational and international companies. Energy : Energy degrees focus on energy efficiency issues by studying ways to reduce the load on energy and improve the ecosystem. Fashion : Fashion studies include designing, marketing and production of clothing. USA is the centre for trends and style, with Hollywood and its celebrities setting the style statement. Humanities And Social Sciences : It is the field of study that broadly includes the anthropology of humankind occupying the disciplines of societies. Law And Regulations : General skills include the research, interpretation and explanation of complex subjects, analytical thinking and practical problem solving. Management : The course builds on existing communications and consumer behaviour models in order to explore many of the issues facing a modern day manager. Marketing And Communication : Communication is a set of activities involved in managing and orchestrating all internal and external communications aimed at creating awareness in prospective markets. Natural Sciences : The study of natural sciences is an attempt to understand how the world and universe around us works. Professional Studies : It is a field of study used to classify academic programs which are applied or interdisciplinary in focus. The term can also be used for non-academic training for a specific profession. Sport : It is a field of education concerning the business aspects of sports and recreation. Tourism And Hospitality : Tourism and hospitality covers the fundamentals of each industry including tourism economics, food service, and legal issues. USA is one of the strongest economies of the world. Majority of Americans derive most part of their income from occupational earnings. In the United States, the highest earning occupational groups are the white collar professionals including manager, physicians, mathematicians, financial managers, software publishers, computer engineers, hospitality sector, etc. USA has also been on the forefront in the telecoms, medicine, health care and genetics. International students can take up on campus jobs.They are allowed to work 20 hrs per week during semester (on campus). On campus jobs may include teaching assistantship or research assistantship where a student is paid on an average $8 to $10 per hour. Thus student earns approximately $ 500-$ 600 per month or can get a waiver in tuition fees. With this, a student can also do internship in the related field which may be paid. During vacation the student is allowed to work for 40 hours per week. On completion of the course, student is allowed to work for 1year popularly known as OPT (Optional Practical Training). Students with certain degrees in STEM (Science, Technology, Engineering & Mathematics) field are allowed to work for 36 months. On completion of their OPT, the student can later apply on a H1 B visa (work permit visa) for work. The USA is a vast education hub. It has the highest number of international students population that choose USA as their study destination. Students can pursue graduate, under graduate, postgraduate and research degrees. USA is a vast country, with unique climate, culture, history and economy. The universities in USA are broadly classified as Public and Private. State-affiliated institution are financially supported by public taxes and they are usually large in size. They normally offer all levels of degrees and many different fields of study. Tuitions fees are usually less compared to private institutions. Examples: Pennsylvania State University, Ohio State University, University of California, Kansas State University, University of Texas etc. A private university runs without the control of any government entity. Tuition fees at private universities tend to be much higher than at public universities. Examples Long Island University, George Washington University, New York University, Carnegie Mellon University, etc. When calculating the cost of education living expenses play a critical role. On an average, a student spends approx $15000 - 18000/year. But the expenses also depend on the place where a student stays i.e. if a student stays in metropolitan city like New York, San Francisco, Los Angeles, etc the expenses could go up to $20000 in comparison to a student studying in a suburban area where the expenses around $10000 to $12000 / year. Living in suburban areas add up the students transportation cost. But colleges do provide transportation passes for the same. Living afar in an outlying place would result in more time consumption. Most of the educational institutions will assist you in finding accommodation while studying in USA. Accommodation are of two types i.e. a student can stay on campus (Halls of Residence/Students hostel) or Off Campus (Home stay, Apartments/Flats). Staying Off Campus is much more cheaper than staying On Campus but it is always advisable that the student should stay on campus for the first six months so that the student can interact have classmates in the first year of studies and also be accustomed to the environment. Insurance Policy for international students is mandatory as students have to stay abroad for a long period of time. Insurance costs approximately between $1000-$2000/year. It is advisable to take insurance from an Indian Insurance Company but make sure that it covers medical expenses, personal accident, dental, treatment ,study interruption, passport loss etc. Insurance is basically cashless so a student does not need to pay money at the time of hospitalization. Fee waivers are awarded to international students on the criteria of merit & need of it. A candidate with strong academics, good performance on standardized exams & extra curricular achievements would be eligible for scholarship awards & financial assistance. To benefit from these opportunities, one has to make sure to send all the required documents by particular deadlines. In addition to this, the presentation of the application package is also important because one is judged by the image one projects. Ashwin Sharan 33 % Tuition fee Waiver BS Computer Engineering Milwaukee School of Engg. Admission to USA universities and colleges can be very competitive. Each university/ department has its own admission requirements of the course of study selected. US universities have 3 intakes: Fall : August/September, Spring: January/February and Summer : April/May. Major intake is the Fall intake, but most of the universities are open for Spring and few of them for summer intake too. All students must have the required English language proficiency with regards to the course. TOEFL score of 80-90 for postgraduate and 70-80 for undergraduate studies is a decent score. IELTS score of 6.0- 6.5 for undergraduates and 6.5-7 band for postgraduate studies is required. Over 2500 institutions in USA recognize the IELTS & PTE exam including several top ranked institutions. Understanding the application process to avoid any confusions and errors. Preparations for the Entrance Exams. Identifying the desired university and starting with the university selection. It consists of : Subject finalizing, Checking the University ranking, Overall / Subject-wise ranking, Curriculum prospectus, Faculty profile, Student demography, Research demography, Research facilities at university, Funding option / cost, Infrastructure. USA has the worlds most flexible education system. Students can study their area of interest as specialization. State-affiliated institutions are financially supported by public taxes and are usually large in size. Tuitions fees are usually less compared to private institutions. Examples: Ohio State University, University of California, Kansas State University, etc. A private university runs without the control of any government entity. Tuition fees at private universities tend to be much higher than at public universities, Examples: Long Island University, New York University, etc. These are schools specializing primarily in engineering and science and particularly noted for their research and graduate programs. Example: M.I.T. (the Massachusetts Institute of Technology), NYIT ( New York Institute of Technology) etc. Members of the Ivy League are: Harvard, Yale, Princeton, Brown, Dartmouth, Cornell, Columbia, and the University of Pennsylvania. All these schools are in the Northeastern part of the USA. Tuitions at these private schools is among the highest in the country and admission is generally highly competitive. These school focus on undergraduate study of traditional arts and sciences disciplines : humanities, sciences and social sciences. Liberal arts colleges are often quite old and are usually private schools. Examples: Amherst College, Marist College, Swarthmore College, Manhattan College, Smith College, Mount Holyoke College, etc. Community College is an educational institution providing higher education and lower-level tertiary education, granting Associates degrees, Certificates, Diplomas. Example: Foothill and Deanza College, College of San Mateo, etc. Grade system is followed throughout the United states to judge students performance. It is graded in the scale of 0 to 4. To convert the percentage into the GPA, a credential evaluation needs to be done. Associate Degree: It is an academic degree awarded by the community colleges, junior colleges, and business colleges. Usually for two years (60 credits). Bachelors Degree: Commonly known as undergraduate degree in India. The duration of the bachelors course is 4 years (120-150 credits). Students who have completed a part of their undergraduate degree and want to go to USA can apply as a transfer student. There are two types of bachelors degree: B.A or B.S(120-150 credits). Masters Degree: The duration of master’s courses may range from a year or two depending on the university & your area of specialization (30-48 credits). The binding requisite for masters is 16 year of education. Doctorate: Commonly known as PhD. Duration of the same may range from 3 years to 5 years. Students can take admission for a PhD only after completion of their masters degree. Summer Program : Are study programs during the months of summer vacation. They usually last from 6 to 10 weeks depending on the school and the course of study. Admission to a coveted US university takes you only half way through your dream to study in the USA. 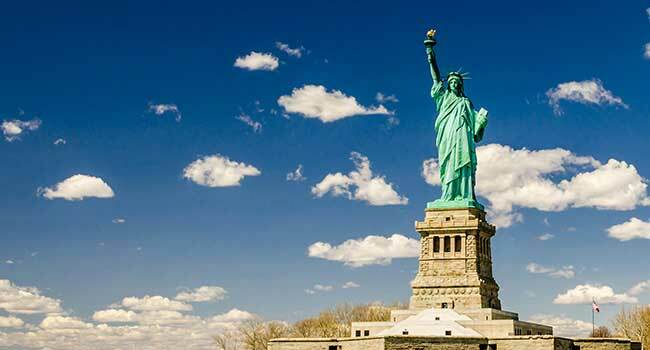 The remaining important half is to obtain a study visa for the US. Complexities and careless mistakes along with lack of sufficient knowledge about the US student visa formalities cause undesired delays and even refusal of a visa in some cases. An F1 visa is issued to international students who are attending an academic program or English Language Program at a US college or university. F1 students are expected to complete their studies by the expiration date on their I-20 form (Certificate of Eligibility for Non immigrant Student Status) which is provided by the US College or university. Most American Universities require 16 years of education for admission into an MBA or any other graduate program. It is therefore advisable to complete M.Com / M.A/ M.Sc. or at least one year of any Masters Degree before taking admission in an American university. Some top ranked universities can take you with 15 years of education with 2-3 years of relevant work experience. Edwise however has a list of those institutions that would enroll students after 15 years of education directly. Yes definitely, but getting financial assistance in the first semester is highly competitive and you need to have an extremely good academic and test score to be qualified. There are number of good cases where we have helped students secure full financial assistance. If you have an outstanding academic background and test scores, Edwise Counselors will try their best to get you financial aid. Yes, a student can take IELTS instead of TOEFL. 2500 universities have started accepting IELTS,these universities being the top ones. Students are allowed to work 20 hours a week on-campus during the term and full-time during the vacation period. Devry University and Keller Graduate School of Mgmt.